Ah I want this in my brain. Is there an audiobook edition coming? Damn you, Scalzi. I was happy in my little hovel, then I hit a library and picked up Redshirts and read it in a day. 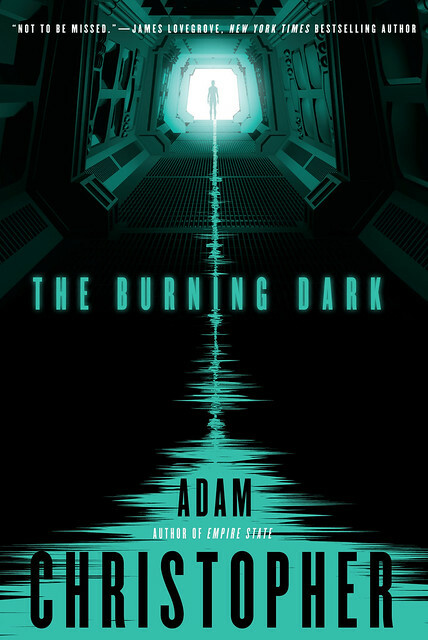 Now you post something like this and I want to buy Adam’s books. Pretty soon you might motivate me to write my own novel. I was happy in my ignorance and you made me THINK. Seriously, this looks interesting and creepy and I’m going to enjoy it while sitting with my back to the wall! Oh, my, this actually sounds like something I would enjoy. Creepy goodness. I’ll have to check it out. Thanks for sharing your big idea, sir. Your two books look like the type of scifi I enjoy. Ill give them a shot. Thanks for posting. As if I needed any more books! As someone who was totally creeped out by the Ludmila recording, my scalp is now crawling. And it’s bedtime. Thank you, John Scalzi.